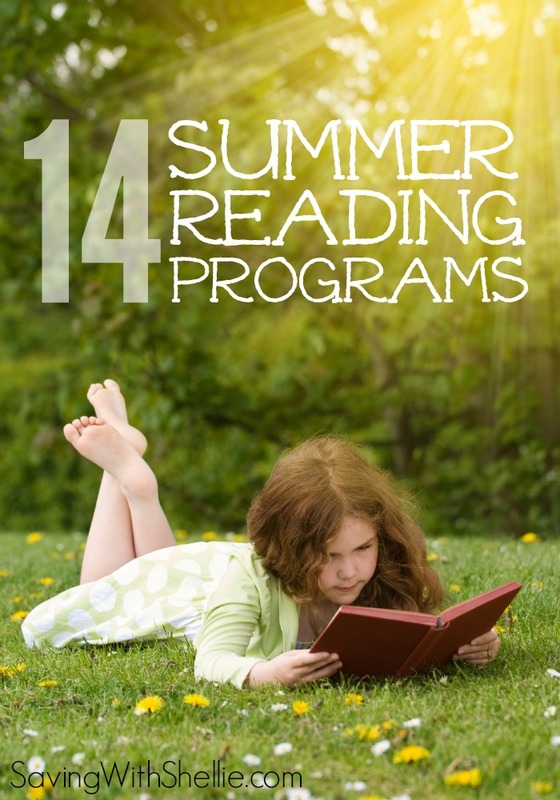 If you are looking for 2015 Summer Reading Programs to keep your kids occupied this summer, I have a big list of 14 different Summer Reading Programs for you. 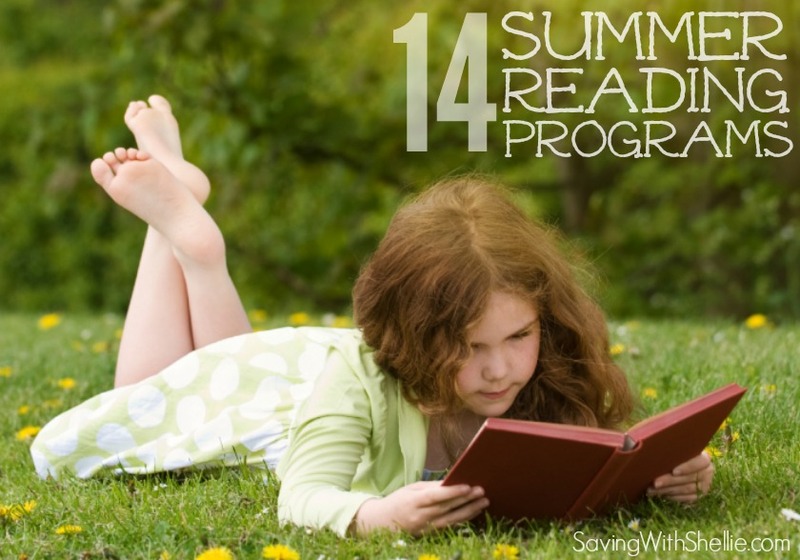 These programs are a great way to keep kids engaged and excited about reading all summer long. Some of these offers are regional but you should be able to find several in your area. American Girl – Select locations will feature in-store Summer Reading Bookmark crafts. Girls can make a decorate a pretty bookmark inspired by American Girl activity books. These events are free and open to the public for girls 8 and up. Also, from May 1 through August 26, American Girl will donate $1 from every book purchased through American Girl to Save the Children’s US Literacy Program. Barnes & Noble Imagination Destination – This program begins May 20st and runs through Sept 2rd. Kids can earn a FREE book after they read eights books and log them on the reading sheet. This is for grades K-5. Book Adventure – This is a free program offered by Sylvan Learning. Kids in grades K-8 can search for books, read them offline, come back to quiz on what they’ve read, and earn prizes for their reading success. Prizes include chocolate bars, temporary tattoos, Highlights magazine and more. Chuck E. Cheese – Earn 10 FREE tokens each time your child reads for 2 weeks in a row. Complete the form to claim the free tokens. A food purchase is required though. Half Price Books – Kids who read a total of 300 minutes each month can earn $5 Back to School Bucks with the Feed Your Brain program. Parents may read to kids who are still learning.Download a printable reading log. This program runs through July and the HPB Bookworm Bucks coupons are valid through August 27. HEBuddy Summer Reading Club – Kids can pick 10 books to read and log them on the Reading Club form. When kids log ten books, mail the form in to get a free t-shirt. New York Times Summer Reading Contest – The 6th annual New York Times Summer Reading contest is just for students ages 13-19. Tell the NYTimes why you loved or hated a particular piece and each week they will publish the best comments. The NYTimes.com has a digital subscription system in which gives readers free access to 10 articles each month. PBS Kids Summer Reading Camp – PBS teaming up with Education.com to offer a Summer Reading Camp. They have everything you need to host 10 fun weeks of reading camp. There is a new theme each week with topics like bugs, heros, music, animals and more! Pizza Hut Book It! Program – This program has free reading adventure packs for parents to download, read and do activities. There are also recipes for children that tie back to certain books. Schools can win free pizza for participating. Homeschoolers can also enter this program. Pottery Barn Kids – They offer free story time for kids on Tuesday at 11am. After kids attend 5 storytimes, they get a free gift. There is also a summer scavenger hunt through June 15. When kids find all the items on the list, they get to pick a prize. Public Libraries – Check your local library for more free reading programs with activities and incentives for kids of all ages. Most libraries also have story times and other reading themed activities. Scholastic Summer Challenge – Children can log in their reading minutes and earn rewards. Students can participate individually or as part of their school. The school that logs the most minutes reading will get a visit from the author of the Captain Underpants series. This program runs through Sept 5. Showcase Cinemas Bookworm Wednesdays – Kids can earn a FREE movie ticket from National Amusements Theaters when they read a book and complete a book report. Find a theater near you. TD Bank: Read 10 books this summer and log then on the free summer reading log. Take the completed form in to your nearest TD Bank and get $10 deposited into your new or existing young savers account. Bonus #15: Six Flags Read to Succeed – K-6 students who complete six hours of non-school-related reading approved by their parents and teachers are eligible for free admission to their nearest theme park. This program will open up again in the fall. I’ll be sure to remind you once it’s open again. We loved the Pottery Barn Kids program last year. They give really nice books at the prize. The public library is always a favorite of ours too. I think this year we will check out the Half Price Books program and Barnes & Noble too. What programs are you most excited about? Some of the programs are not current. Pottery Barn is not doing a reading this year. It’s a scavenger hunt. The HEB link is from last year. I haven’t found this years yet, so unsure about that one yet. Book it looks like it’s a spring event. Haven’t checked all the links yet. This is the link to the HEB 2015 summer reading program. That link is to the file on your computer, not on the internet. Only you can access that file. Thanks for clarifying Mo. I already found the correct file she was referring to and updated the post. Happy Reading! Great list! We are bookworms at our house. My kids love to earn free books. What a great list! I will discuss it with my kids tomorrow morning and see which one (or more) they pick. Thanks for sharing! Thank you for sharing all of these great places to utilize for summer reading motivation! I plan to do the one at the library for sure and knew about the B&N program but the others were new to me. Awesome list – I will share on twitter!